This past summer at Eurobike, CycleOps somewhat quietly announced their new Hammer 2 trainer, more officially known as the H2. This trainer would take the existing Hammer 1 that the company released a few years back, apply a new coat of black paint on it…and…well…done. Technically they increased the accuracy claims from +/- 3% to +/- 2% as well. 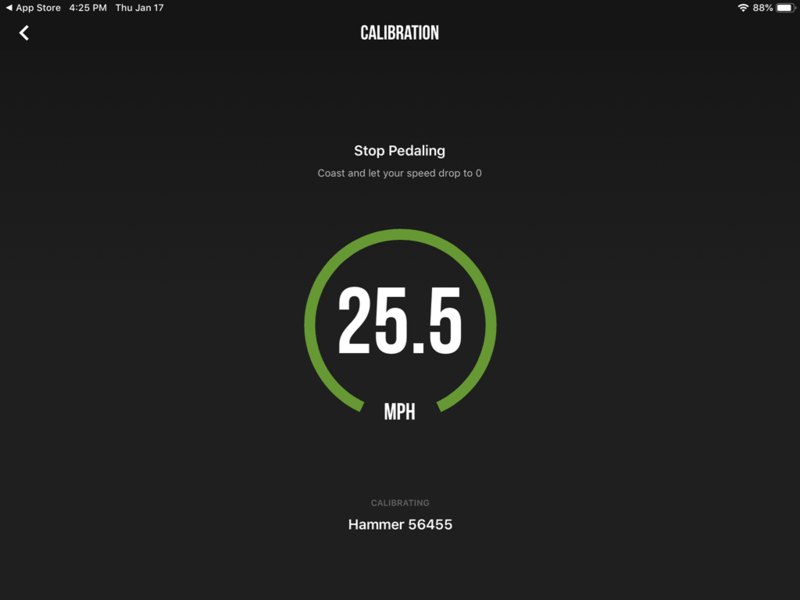 That said, there is a slight bit of difference between the trainer I reviewed a few years ago and the new Hammer 2. Mainly via a long list of firmware updates. This has not only resolved various initial issues at launch, but also added new features – like cadence broadcasting from the trainer. An important feature for those on Zwift with Apple TV where the number of Bluetooth connections is highly limited. I’ve had a media loaner unit since back in the November timeframe, though it was actually Des from DesFit that got in the first few rides on it while he was visiting Amsterdam for the DCR Cave Open House. After he was done breaking it in (though, not breaking it), I took over the reins and have been riding it for a number of my recent workouts. Once I’m done with the unit, I’ll get it packaged back up and sent back to CycleOps. Just how I roll. Unfortunately, given there were a million tasks to do 45 minutes prior to 200 people descending onto the space, a proper unboxing did not occur. Though, I will say straight-up it’s the most logical @#$# box ever made for a trainer. Seriously, it’s brilliant. It actually opens up properly, like opening up a laptop on a table. Versus most other trainer boxes you have to find a way to wedge the trainer box between your legs while you try and extract the trainer from the box. Essentially, you look like you’re giving birth to a trainer. Whereas the Hammer 2 – you just open it up in a rather civilized manner. Brilliant! Every other trainer company take note: That’s what I want to see next season for your trainers. As noted, the trainer does require being plugged in. The power is 110-240v compatible, so it’s good anywhere. It attaches to the left back side of the trainer. On the side of the trainer are status LED’s, allowing you to validate the trainer is powered up as well as connectivity. Green means it’s powered on, while white equals ANT+ FE-C controlling. Blue indicates Bluetooth Smart related. If you’ve got a red light it means either the firmware is updating or something’s gone horribly wrong. Like all trainers except the Wahoo KICKR, the H2 needs to have a cassette added. I typically buy Shimano Ultegra cassettes for my trainers (mostly for sound-testing consistency across videos), but I’ve also done a few SRAM ones and whatever else happens to be on sale from the bike shop. It generally doesn’t matter, except sometimes you’ll find some of the lower end cassettes (like a Shimano 105) don’t quite sound as quiet as mid to higher end ones. In any case, with a cassette, you’ll need two tools. A lockring tool (or lockring + a wrench, in my case), and a chain whip. In this case, you need the chainwhip since you can’t get a good grasp on the flywheel. Whereas for a trainer like a KICKR, you can simply hold the flywheel to get the opposite tension you need. The unit accepts cassettes of 8-11 speed Shimano/SRAM. Once that’s installed, you’re pretty much good to go (assuming you’ve plugged it in). Just place your bike on the trainer just like you would a normal rear wheel and start pedaling. Resistance will be controlled via apps – such as Zwift or TrainerRoad. I discuss all that in the next section though. One of the two biggest questions I get with trainers is: How loud is it? Followed by: What’s the road-feel like? We’ll start with loudness, as that’s simplest. Frankly, there’s no trainer on the market today that’s as loud as the Hammer 2 that I can think of. It’s not so much the direct volume as it is the tone/pitch of the volume – slightly higher pitched. 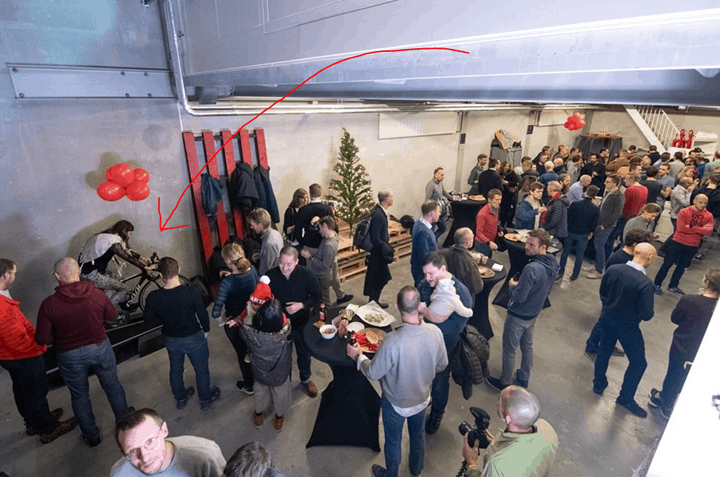 We were laughing for the week after the DCR Open House, because since Des’s bike was on there already, when he/myself/Shane/Von were riding, it was like he was riding a jet engine in comparison to all of our much quieter trainers (KICKR 2018, NEO SMART BIKE, NEO2). Des is down in the corner, with his trainer cut-off. Of course, if you had pressed the rewind button to 2-3 years ago, it wouldn’t have been that much different. But since the Hammer 2 is essentially just a black-painted Hammer 1, then we’re talking tech announced in 2016. Whereas all the other trainers we were using were this season. To demonstrate this slightly, I attempted a sound-test showing the difference between a Hammer 2 and a Wahoo KICKR 2018. Of course, as irony would have it, I managed to break the KICKR 2018 mid-way through a sprint while filming this video. Thus, you get to hear what a normal functioning KICKR sounds like, and then what a broken KICKR 2018 sounds like. Seriously: I actually broke it mid-test. Of course, you’ve probably seen my whole post on broken KICKR’s here. And if you want to see what non-broken KICKR’s sound like, I’ve put that together in other posts here too. As heard above, when the KICKR is working as expected, it’s far quieter than the Hammer 2. Though, when the KICKR 2018 craps itself, it’s like an annoying pinball machine and the Hammer 2 retains its aircraft like audio qualities. Pick your poison I suppose. Like I always say – for me personally, it’s hard to separate the fact that I’m riding indoors from outdoors. It’s still a trainer, and I’m still looking at a wall in front of me. My brain can only turn off so much of that. Still, much of the road-like feel is driven by the flywheel, and be it physical or virtual, flywheel sizes tend to be measured in weight. This impacts inertia and how it feels – primarily when you accelerate or otherwise change acceleration (such as briefly coasting). And it’s funny – having been riding the Tacx NEO 2 most recently prior to the Hammer 2, there was a slight upgrade in road feel in one specific scenario: Spinning up to speed. Once at speed, I didn’t notice much difference. 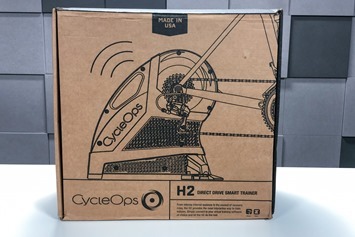 But for the first couple of seconds, especially if applying a fair bit of power (effort), then the real flywheel of the CycleOps H2 feels best compared to the Tacx NEO’s virtual flywheel. But again, once at speed it’s not really notable and the Tacx NEO has plenty of other reasons I prefer it (namely, zero calibration required and the road-like feel, plus it’s quiet). ERG Mode: Setting a specific power level – i.e., 230w. In this mode, no matter what gearing you use, the trainer will simply stay at 230w (or whatever you set it to). Simulation Mode: Simulating a specific outdoor grade – i.e., 8% incline. In this mode, it’s just like outdoors in that you can change your gearing to make it easier or harder. Wattage is not hard-set, only incline levels. 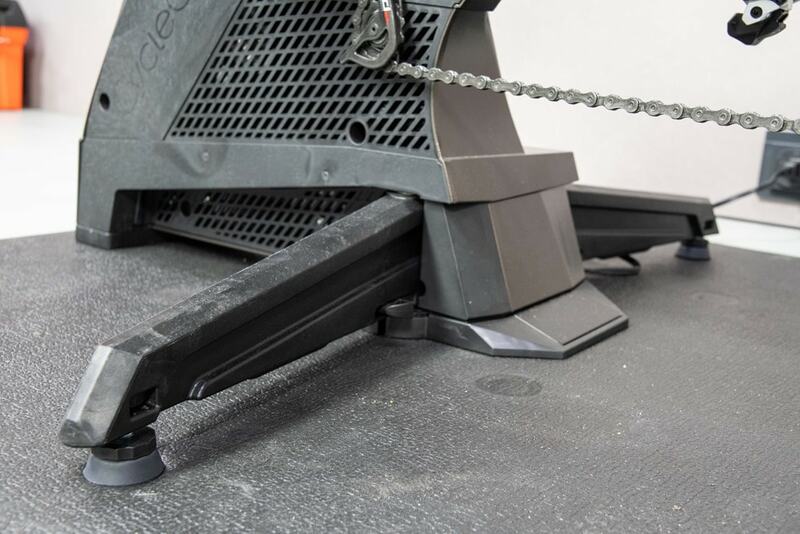 In the case of simulation (aka slope) mode, the Hammer 2 can simulate from 0% to 20% incline – which is so-so for this price point (some go upwards of 24-25%). The second mode the trainer has is ERG mode. In that case, the company claims up to 2,000w of resistance at 40KPH. Although, realistically, you don’t care about that. I can only barely break 1,000w for a second or two, and even most front of the non-pro pack cyclists aren’t going to top 1,800w. The pros would only be just a bit beyond that. Said differently: Peak numbers don’t matter. Instead, what matters is actually a harder metric to make clear – which is the ability to simulate high grades and lower speeds (especially if you’re a heavier cyclist). In my case, there were no issues with this test from a responsiveness standpoint – and I cover the accuracy bits down below. In fact, this produced one of the cleanest power tracks I’ve seen (though, that could be due to internal smoothing). But first, let’s talk app compatibility. 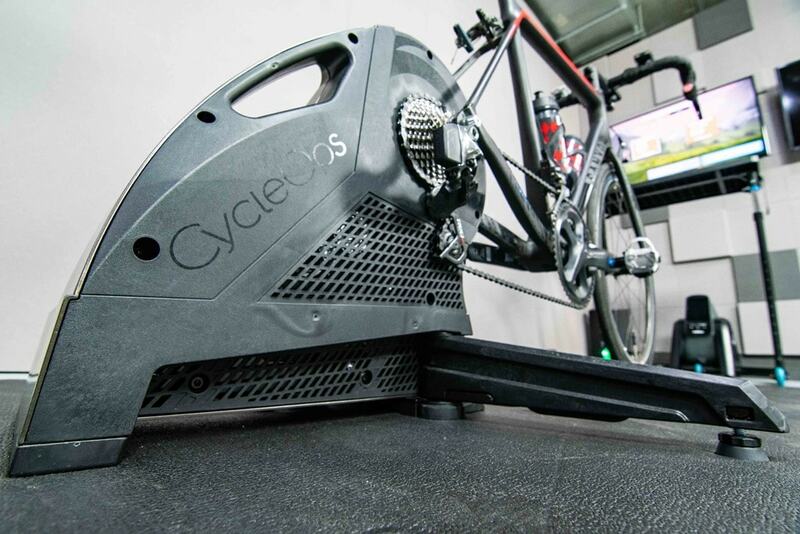 The CycleOps H2 follows the industry norms as you’d expect from most trainers these days. As you probably know, apps like Zwift, TrainerRoad, SufferFest, Rouvy, FulGaz, Kinomap and many more all support most of these industry standards, making it easy to use whatever app you’d like. If trainers or apps don’t support these standards, then it makes it far more difficult for you as the end user. 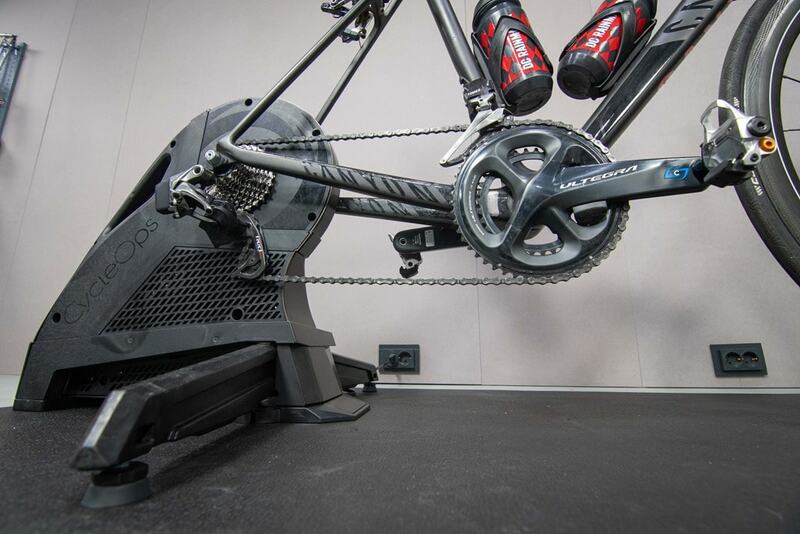 In fact, the CycleOps Hammer 2 goes slightly further than the Hammer 1 did at time of release – by now broadcasting cadence data within the metrics from the trainer. The CycleOps Hammer 2 transmits data on both ANT+ & Bluetooth Smart as well, allowing interactive resistance control across both ANT+ & Bluetooth Smart. By applying resistance control, apps can simulate climbs as well as set specific wattage targets. ANT+ Power Meter Profile: This broadcasts as a standard ANT+ power meter, with speed and cadence baked in as well. 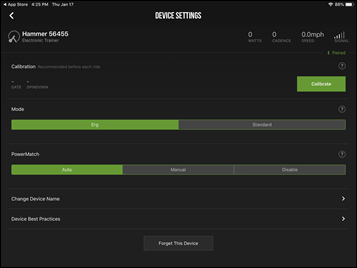 Bluetooth Smart FTMS Trainer Control: This broadcasts as a standard Bluetooth Smart FTMS trainer (which is the Bluetooth version of the ANT+ FE-C protocol). 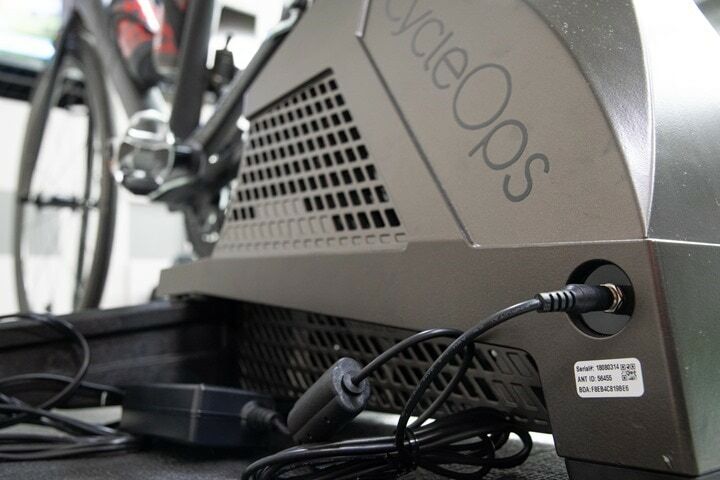 Bluetooth Smart CycleOps Trainer Control: This is CycleOps’ private method of controlling the trainer. This is primarily for older apps that may not properly support FTMS yet. Bluetooth Smart Power Meter Profile: This broadcasts as a standard BLE power meter with speed as well as cadence. The key takeaway from this is that it not only supports everything you’d need from any apps you’d need – but also transmits cadence within the signals, making it easy to pair up to an Apple TV. Tacx, Elite, and Kinetic also do this – but Wahoo remains the odd man out that doesn’t include cadence transmission. Baked in cadence data is handy if you’re connecting to Zwift on an Apple TV, due to Apple TV’s two concurrent Bluetooth Smart sensor limitation (plus the Apple TV remote). This means you can pair the trainer and get power/cadence/control, while also pairing up a heart rate strap. Whereas on a Wahoo trainer you don’t get cadence with the data stream from the trainer, so you need to choose between heart or cadence as your second sensor type. Sure, you can technically use the Zwift companion app to bring in 3rd or more sensors – but I find that’s finicky as heck and rarely works well (if at all). It’s these same standards that also allow you to connect via head units too. For example the Wahoo ELEMNT/BOLT as well as Garmin Edge series support ANT+ FE-C for trainer control, so you can re-ride outdoor rides straight from your bike head unit to your trainer. 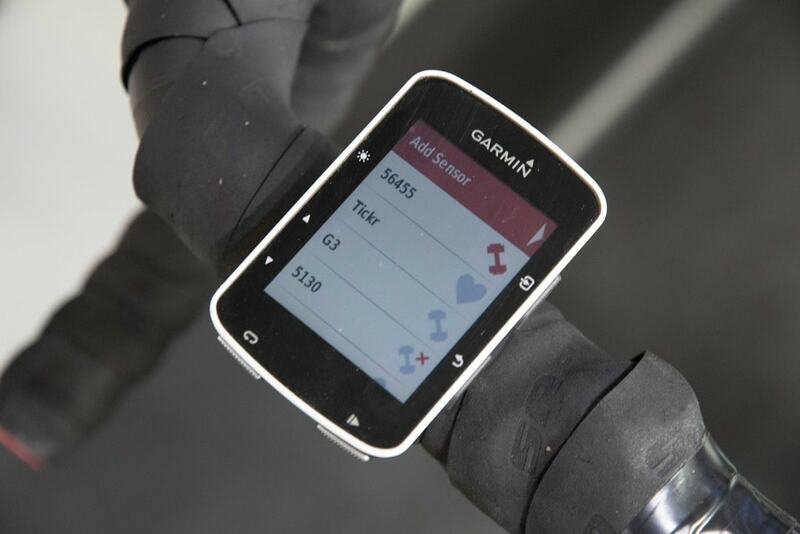 For example, for my accuracy testing section, I recorded the data on a Garmin Edge 520 as well as the trainer apps themselves. From there I’m able to save the file and upload it to whatever platform I like. 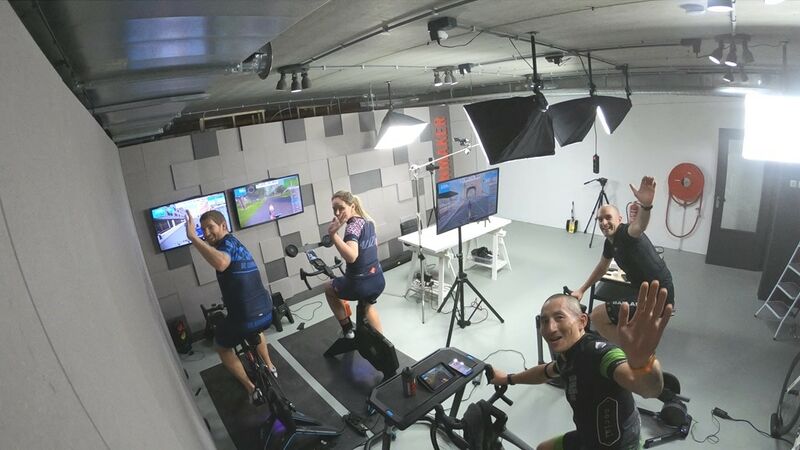 While CycleOps used to have a strong partnership with Rouvy (then Virtual Training), that seems to have evaporated in recent years. With Rouvy now basically going it alone as a more independent offering. I wouldn’t really tie CycleOps to Rouvy/Virtual Training anymore, and instead look at the H2 as a bachelor in terms of picking which apps you want to use (to be clear, you could always use 3rd party apps before as well). Once you reach that speed you can stop pedaling, after a number of seconds if you give a spindown time. At which point the calibration is complete. In my testing I didn’t find this necessary every time – things seemed to be surprisingly consistent for me. Still, my general recommendation here would be that anytime you move the trainer, or if there’s significant shifts in temperature in the spot you’re operating it in (such as in a cold wintery garage), to do a calibration about 10-15 minutes in, just to be sure. That’s pretty consistent with what I’d recommend for any trainer except the Tacx Neo 1/2, which require no calibration (and don’t even have the option to do so). Finally, some will ask about Wahoo KICKR CLIMB compatibility. 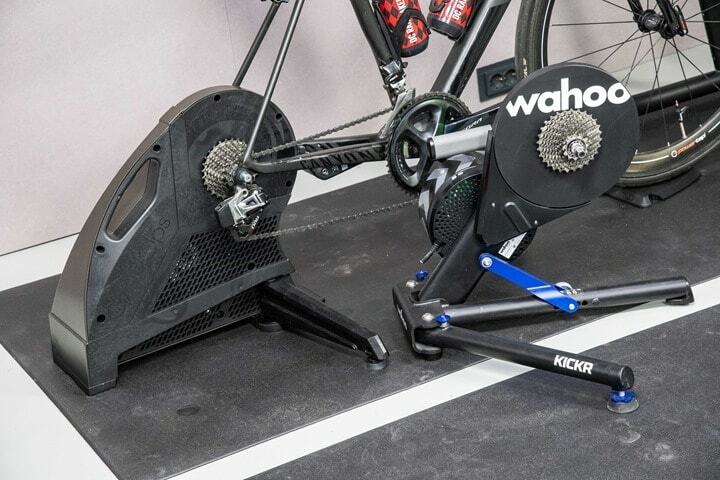 No, the unit is not compatible with the Wahoo CLIMB, and it doesn’t sound like there’s any plans to make that happen (from either the Wahoo or CycleOps side). 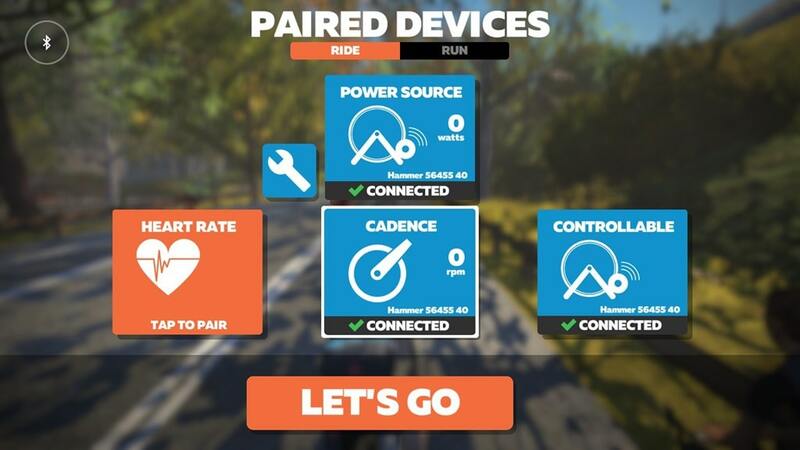 In my case, I was looking to see how it reacted in two core apps: Zwift and TrainerRoad (Bluetooth Smart on Apple TV and iPad), but I also did some work on CVRcade with it via ANT+ on Windows – so there’s that for you. The actual apps don’t typically much matter, but rather the use cases are different. In Zwift you get variability by having the road incline change and by being able to instantly sprint. This reaction time and accuracy are both tested here. Whereas in TrainerRoad I’m looking at its ability to hold a specific wattage very precisely, and to then change wattages instantly in a repeatable way. There’s no better test of that than 30×30 repeats (30-seconds at a high resistance, followed by 30-seconds at an easy resistance). (The blue graph part is off-set higher because I lowered the target prior to the workout slightly, but TrainerRoad doesn’t record what I told it to do, only what is set in the workout. So just compare green to yellow). Overall things are quite close. There’s a bit of variance from the Stages LR in the 3rd set, and then one random spike right after the fourth set. In fact – that’s when I had a weird connectivity failure to the Hammer 2. It’s the only time I’ve ever seen it happen, but the unit stopped responding on Bluetooth Smart control to TrainerRoad, and also appears to have stopped broadcasting on ANT+ as well to the Edge 520 that was connected to it. So I don’t think the failure here was TrainerRoad’s fault since it showed up on two different devices concurrently. It’s an oddity, but it’s also the only time I’ve seen that. And it could have just been a random transient connectivity item too. Anyway, FYI. I’d note that generally I’d have expected to see the Hammer 2 be below the PowerTap P2 pedals (due to placement within the drivetrain equation), however, the difference at +/- 2% of the Hammer 2 on 400w, in this case, means that by and large it was within the margin of error for both units combined (actually, I wouldn’t even had to have combined the margin of error for most of these). At a high level, things look pretty good. Everything seems to roughly match. If I smooth the power at 5-seconds, it’s a bit easier to see what’s going on. I wouldn’t say it’s rock-on perfect, but it’s reasonably close in most cases. I do see a bit of separation between the three units at some steady-state efforts, whereas it seems to track more closely when I ramp into harder efforts. Still, in some cases when it appears I’m carrying a bit of momentum it seems to overshoot just slightly, and then extend the spring slightly more than reality. Not terribly unlike when the Wahoo KICKR CORE came out. You can see how that green line below overachieves a bit. I suppose beneficial for some in a sprint. You can see how this manifests itself on the mean-max graph whereby it’s really close till about the 1-minute marker, but then as intensity increases on this workout, it starts to separate out a bit. 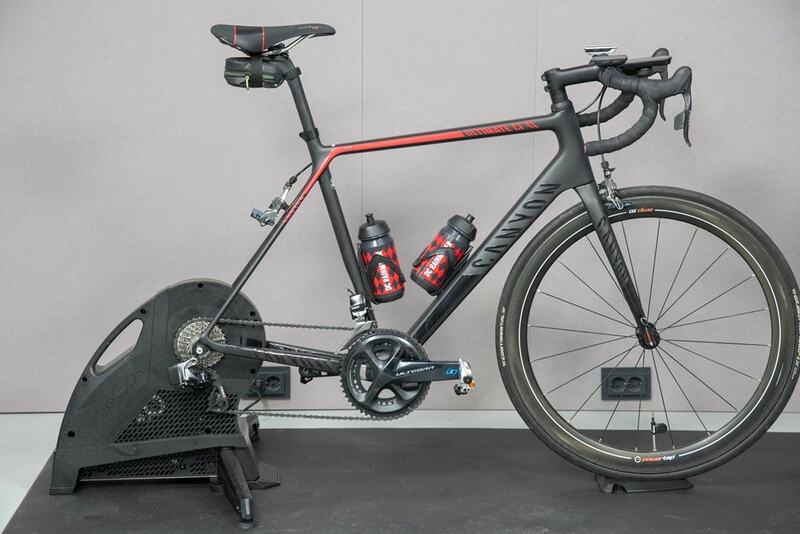 This is somewhat common for trainers, and I occasionally see smaller amounts of it on the Tacx trainers too. Here’s another workout below, this time with the Hammer 2 in brown – and you can see how the cadence drops are more common since my power was more variable as part of a bit of a Zwift Tour of sorts keeping within a group (so surges of power on/off). Note these are not ANT+ drops, as they would have impacted both power and cadence channel. Instead, they only impacted cadence, meaning they are algorithm failures. Meanwhile, backtracking slightly – here’s the power graph for that particular ride. Overall, things are actually pretty close there. Again, to nitpick (since that’s what I do in this section), the trainer overcommits on the sprints, by about 100w or so. While I don’t expect absolutely perfect max power between different devices for a 1-second basis, I like them to be a bit closer. And it is true that if I remove the 3-second smoothing I placed on the above graph, you can see it does some of that. It gets within 50w for a 1-second point within that realm. Still would have expected it to be closer, but, I don’t think the algorithms are capturing the momentum right at the top-end – primarily above 500w or so. Below that, it doesn’t seem to struggle. Which again, I realize this is definitely nit-picking. And every trainer I review has seen some oddities. Even the recent high-end Tacx NEO 2 showed some sprint oddities at the sprint end, and the Wahoo CORE had some early teething pains as well in those same sprint and coming off of sprint moments. I don’t think the cadence is as good as the Tacx or Elite cadence algorithms, though, it’s better than Wahoo’s. Because…you know, Wahoo doesn’t have any cadence. And I suspect for most people just wanting a quick real-time validation of cadence within Zwift or TrainerRoad, then you’d be able to use this, no problem. Whereas if you were doing specific cadence-driven drills, then I’d look to invest in a secondary cadence sensor. 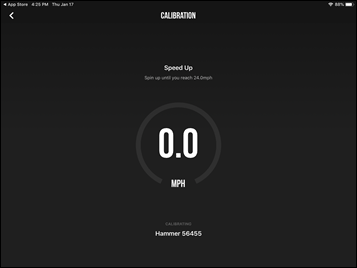 I’ve added the CycleOps Hammer 2 into the product comparison tool, though honestly, you won’t see much differences here compared to the Hammer 1. For purchase recommendations, see my annual trainer buyers guide and recommendations here. Nonetheless, here’s how it stacks up against the Tacx NEO 2, Wahoo KICKR 2018 and Elite Drivo II, which are the three trainers I’d mainly compare it against. Obviously the NEO 2 is more expensive than the others – and you could easily substitute the NEO 1 in there too (which can be found in a few random places still). And remember, you can mix and match against all trainers I’ve poked at within the product comparison database here. In many ways, the Hammer 2 is remarkably unremarkable. By most competitive aspects, it’s behind the times – primarily in the noise department where it’s by far the loudest trainer I’ve tested in the last 12+ months. But as we’ve seen (especially in the last week), sometimes unremarkable is good. Whereas some recent KICKR 18 and CORE users are battling it out with a variety of issues, best I know – that’s not happening for Hammer 2 users. Of course, it’s also potentially a numbers game. Wahoo is simply selling probably 50-75x more trainers than CycleOps is these days. Still, when I look at things like ERG mode responsiveness, the Hammer 2 is spot-on solid – one of the best. I’ve got no complaints there. And whether it be via slightly visible power smoothing or via just straight-up good ERG accuracy, the plotted power by the Hammer 2 also looks quite nice (though perhaps a bit more wobbly in Zwift-like simulation scenarios). And lastly, the road-like feel is good, certainly better than a Tacx Neo 1/2 when it comes to low-speed sprints (such as going up a hill and throwing down wattage). The challenge CycleOps has though is simply the noise. It’s annoyingly loud by today’s standards. At that price point ($1,199) there are other options that make less noise (the KICKR 2018 being silent and the Elite Drivo 2 being quite a bit quieter). Both being equally powered trainers. And, assuming you fall into the claimed 97% of people not having issues with the Wahoo CORE, then that trainer is $300 cheaper and also silent (save drive-train noise of course). If I was CycleOps, I think it’d take a slightly different tact with the Hammer 2. I’d drop the price to $999. I’d do it for a bunch of reasons. You can undercut Wahoo by $200 for a trainer of equal power, while also delivering something that is a bit of a known good. Next, you could undercut Kinetic and their R1 trainer (which rocks) – again, features CycleOps doesn’t have (while Kinetic is working out early kinks). Additionally, for the handful of Tacx Neo 1’s out there on sale, that’d undercut those too. And finally, breaking below that $1,000 barrier is important – especially since this trainer (unlike Wahoo’s) doesn’t include a cassette (an added $60 cost plus tools). Ultimately, it’s a solidly built trainer in terms of accuracy and functionality, but a tough pitch in 2019 against the competition. I’ve partnered with Clever Training to offer all DC Rainmaker readers exclusive benefits on all products purchased. You can read more about the benefits of this partnership here. You can pick up the Hammer 2 trainer through Clever Training using the links below. By doing so, you not only support the site (and all the work I do here) – but you also get to enjoy the significant partnership benefits that are just for DC Rainmaker readers. And, if your order ends up more than $49, you get free US shipping as well. Thanks, tweaked from 2.5% to 2%! It seems that these can be bought for 20% off several times per year (direct or through LBS) making them awfully competitive in pricing. I bought one of their “scratch and dent” H2’s well below 1k USD and did not find a noticeable scratch or dent. It’s not uber quiet, but my main fan is definitely louder. 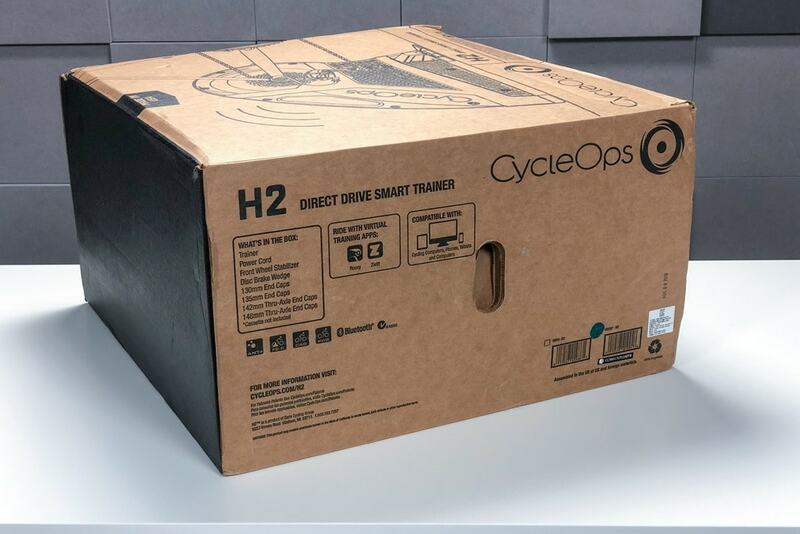 After having a great Fluid 2, a great Powerbeam Pro and being initially impressed with this H2, it seems this is the trainer to beat if you’re able to take advantage of one of the 20% deals. I really appreciate how they are made in the USA as well. But you can also get other trainers at 20% off including the Kickr. Maybe not several times a year but at least once a year in November from Clever Training. Or at REI when they have their 20% off a single item. DCR — I’m curious how many smart trainer brands are domestically manufactured in-house or do most rely on outsourcing overseas? Could Country of Mfg be added to your comparison chart or would you have to research mfg and assy for each model? Virtually all rely on overseas components, including the Hammer. Final assembly of the Hammer is in Wisconsin, but most of the electronics come from overseas. And in fact, one of the core reasons why the original Hammer 1 was so delayed was due to issues with the flywheel manufacturing in Asia. Ultimately, I’m not sure why it matters too much these days (especially when my readership is 60/40 non-USA to USA). Nobody complains about the quality of the iPhone, and it’s made in China. For the most part, people care about whether something is built correctly. I also don’t want to perpetuate the (incorrect) assumption that because something is made in China it’s of lesser quality than something made in America. Or because something is made in Italy that it’s of better quality than something made in the USA. Door swings both ways. Ah yes, *assembled* was what I meant. I live an hour south of Saris (CycleOps) and have been to a lot of events they help support. Even if it’s ‘just’ assembly in the USA, it’s a few more jobs for people that have impacted my local area. I wasn’t trying to make any points about quality and definitely understand that this website/blog encompasses far greater than the USA. Things that are perks for me might not be perks for other readers. I have also had out-of-this-world customer service experience with them that might not have been as possible for somebody not within reasonable driving distance. Hopefully we can agree that the Hammer and H2 are ‘built correctly’ though. There just aren’t floods of complaints about their trainers. True about iPhones but.any manufacturer who sources Asian components (especially from China) are fooling themselves if they don’t have boots on the ground at every parts source, assembly plant, or factory. Without full-time monitoring they are just asking for trouble. Every production run also requires sampling and diagnostic testing long before any batch gets boxed up for shipping. Look no further than Amazon and Alibaba for thousands of examples of poorly made products — all made you-know-where in an unsupervised manner where QC isn’t a consideration. IMO Made in USA does make a difference and also justifies a higher price when necessary. So would Made in Italy, Made in Spain, Made in Germany, etc. Something about in-house manufacturing and/or final assembly ensures better QC all around. Thanks for the review. Yeah, CycleOps seems to consistently be about 12 months behind the likes of Wahoo. They were late with the Hammer (and Magnus) in the first place. But the units have been pretty stable, which is quite nice when we see the issues that can happen with various models and brands. 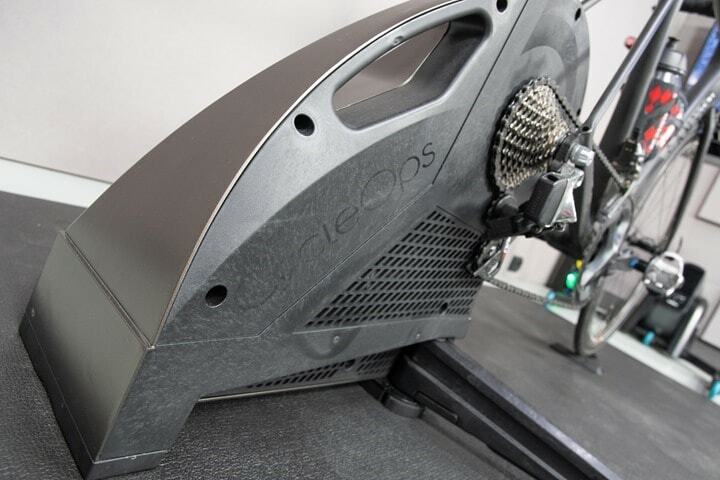 No company is immune to issues, but CycleOps seem to have a decent track record in general. I know I loved the performance of my Hammer, and my initial H2 experience seems as good or slightly better. Maybe being a bit late to the party is actually a good thing sometimes? It will be interesting to see what and H3 offers with the competitive nature of the market right now. I agree that the H2 is not really justifiable in most cases at it’s current pricing. Love my original Hammer, I had gotten a hold of p1s pedals over the summer (borrowed, so don’t have them anymore) and the power matched up almost exactly (maybe 1% different). While there are always features or whatever (a la the climb), I’m really satisfied with it and really can’t ask for much more. While I thought I’d be zwifting all the time with the smart trainer, getting the hammer and having erg mode drove me toward trainerroad, just love being able to get on, do workouts and hit targets. I think for trainer reviews going forward you should make it a standard part of the review to check true thru-axle compatibility. Swap out the adapters and take a thru-axle (no bike needed) and see if you can actually rotate the lever all the way around without hitting the trainer body. I just sold my original Hammer because it was almost impossible to get the threads to line up in a way that they catch, and then once you got that to happen it was a tedious process to actually tighten down the lever. The response from Cycleops and others was “buy an aftermarket thru-axle that doesn’t have a lever and installs with an allen wrench.” To which my response was “No thanks, I’ll just get a Kickr since they’re quieter anyway.” This will be the year for a massive uptick in TA road bikes, and trainer companies are going to have to keep that in mind. Any thru-axle with a ratcheting lever like DT Swiss works fine on a Hammer..
For weight-weenies the Allen key option is the way to go. On the Hammer you can’t spin the axle (or QR lever) 360 degrees to snug it down. The aluminum body casing is in the way. You have about 220 degrees to work with. With a regular QR skewer you can tighten the nut on the drive side first. That’s not possible with a thru-axle. Rear thru-axles like DT Swiss have a ratcheting lever so you can tighten in steps such as 180 degrees at a time. Once snug you can lift and rotate the lever into the position you like. Other thru-axle designs have a hex head bolt that performs a similar function but require an Allen key. Perhaps codyfish found this a pain to do or they have a thru-axle design without a hex bolt head or a Focus R.A.T. However, you can purchase a Robert Axle Project R.A.T. Trainer Axle for direct-drive trainers that support thru-axles. BTW the DCR Cave needs a gravel bike with thru-axle and disc brakes. A gravel bike is simply more fun to ride — everywhere. That is the main issue – since my wife and I use the trainer almost daily in the winter I was swapping between the QR and thru-axle setup every day. What should have been a 30-second 1-handed operation ended up taking to hands with pinched fingers and a few minutes (and risk of damaging threads) so overall the Hammer just wasn’t enough better than the Kickr to make it worth keeping it. Thanks for that little nugget about using a head unit to re-ride an outdoor route on the trainer. I have a wahoo bolt and forgot about that feature. I use the head unit frequently to control indoor structured workouts on my Magnus (M1) that I created in TraningPeaks, now I’ll have to poke around and see if I can get those outdoor sims to work (I did some last season via Rouvy back when I had a paid subscription, that I dropped after I got the Bolt). That thing is a screamer! That would never fly in my house. I’ll stick with my Neo1 and Neo2. The quietness and lack of calibration is well worth the extra price to me. 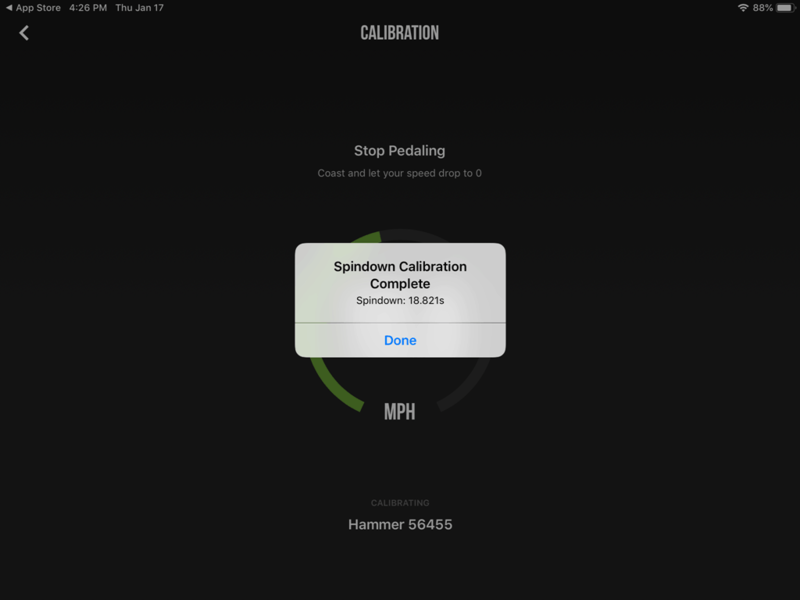 – Sprint / hard acceleration accuracy. Like you said, it’s 100W off at points in your review. My original Hammer is more like 150-170W off at peak in really hard sprints. – That crackling noise a lot of Hammers develop after a while. I had one of the first Hammers and the crackling noise on the drive mechanism/belt was really bad. Since it was a new problem at the time, they just sent me a replacement. It developed the some crackling, but not bad enough for me to remove the side cover and clean the belt. – RD cage clearance in the 1st cog is marginal / non-existent. My Ultegra derailleur cage contacts the Hammer enclosure, which makes shifting into the 1st cog hit-or-miss. – After a few months, the height adjustable feet unscrew themselves fully. Making them captive somehow would be nice. 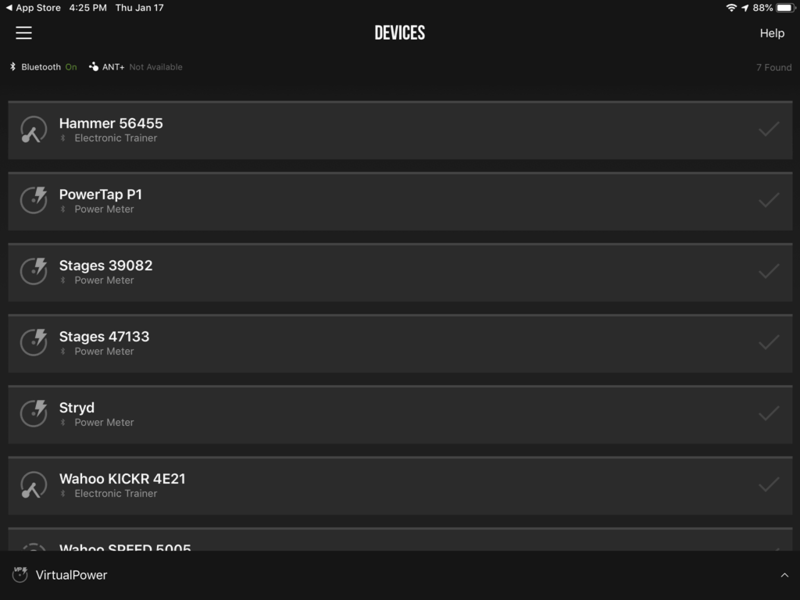 – Put a spindown operation into the PowerTap mobile app so I don’t have to dive several menus into Rouvy. – A better power connector / adapter. I don’t know if it’s the female end or male plug, but the physical connection on the power cord is very, very loose. I’ve had it pop out while JRA. I was advised to spread the center pin apart with a screwdriver, but it didn’t really do anything. In the end I just bought a generic power supply off Amazon, and that has a firmer hold on the power jack. – A beta-test program for power users like me who have >500 hours on their Hammer and own multiple power sources. I would happily put pre-release firmwares through the ringer and report back my findings. – Also improve ANT+ signal strength. I almost always run the Hammer, a TICKR FIT, DZero, Vector 3, Edge 520, ELEMNT BOLT, Edge 1030 concurrently. I also have BeatsX headphones, an iPhone, Samsung SmartTV, Apple TV 4K and Orbi satellite nearby. The 2.4GHz WiFi network is on bonded channels 1+5, so it doesn’t overlap with ANT+. All my connections are stable except the Hammer, which drops out very often on the Garmins and even more regularly on the ELEMNT BOLT. On the BOLT, the dropouts are almost at specific intervals. I have to point out – if you are running 2 power meters and 3 headunits at the same time you aren’t really to target user for, well, anybody really. And you’re the edge case user for everybody. This actually has nothing to do with target markets. The Hammer is the only device in the pain cave that can’t seem to output a strong enough signal on ANT+. On BT, it’s actually fine. And yeah, I like to do A/B/C testing with various configurations before I commit to using one of them outdoors. Eugene, member of the CycleOps engineering team here…after you unscrew the support feet do you then screw the yellow locknuts all the way up? That should prevent the feet from unscrewing themselves. You can see an example of the correct usage from Pretty. Damned. Fast. attached. Thanks for your comments! That’s great to know, and we’ll see if we can recreate the issue in-house. Thanks again! Hi Eugene, try some threadlock on the feet. Looks like the yellow locknuts are black on the H2. The feet will definitely drift if locknuts are left in that position. How does the sound compare to a wheel on trainer? That really depends on which wheel-on trainer. The KICKR Snap is practically silent while the Magnus/M2 or Tacx Vortex have a drone to them. Let us hope that this upgraded trainer also brings a lot more justice for the Rouvy trainer software, which seems to be talked about less than other applications, and for no real reason, since it is the only app in the world which allows riding the Google Street View, and the app support is really good compared to the b*&1sh!t you get from most of the other training apps. i can get this in the UK for £701 (= €808 ), at that price would you give that a ‘buy’ rating, or still consider something else like the Kickr / Drivo 2 which can be got for about €150-170 euro more. Dont really need the kickr climb ability though. 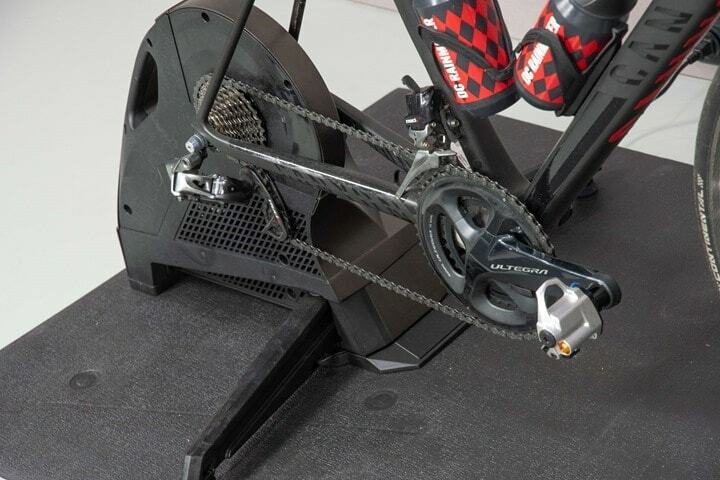 Presumably, the bike you are about to put onto the trainer has a rear wheel, and that rear wheel is equipped with a cassette… So assuming you have a cassette removal too and a chainwhip, you can do the 60-second cassette-move-dance. And if you *don’t* have a cassette tool and a chainwhip, well, they will pay for themselves the next time you avoid going to a shop to replace a cassette. This. I have a Magnus right now, and I’m a late-in-life cyclist who was never very fast, but I’m around 100kg. Anything above 8% gradient right now the Magnus just gives up (then restarts, then gives up again, over and over, which is beyond annoying). Given that I wanted the trainer to train for the Garret County Gran Fondo where gradients routinely hit double digits and stay there, this is a huge issue. So how does this and other trainers do with this particular metric? I have a Hammer and found ANT+ to be spotty with my computer set up about 10′ from the trainer, so I use a USB extension cord to keep the ANT+ dongle about 3′ off to the side of the bike. This works reliably for me. My Hammer does whine, but doesn’t seem to be nearly as loud in the DCR video, and I haven’t found it to be that objectionable. Of course there are a lot of variables comparing video to live sounds, and personal sensitivity to the sound. Silent is certainly better. My RD cage does touch the side of the trainer when in the largest cog. I have an acquaintance who set up a 12 speed mtb on a Hammer and the 50T cog itself nearly touched the side of the trainer and couldn’t be used. I found it to hold it calibration well after having ridden it some hours and having done spin-down cals. With a wheel-on trainer, the major purpose of the spin down cal is to account for the highly variable resistance of the tire on the roller. The Hammer has a belt, so there is probably some small wear/temp variation there. Overall though, I like the solidity, flywheel, smoothness, resistance control and am happy with it. The box also folds up flat for storage. I saved mine (just in case) but forgot to label it so it went into the recycle bin in error. Bummer, but I haven’t needed the box for shipping. 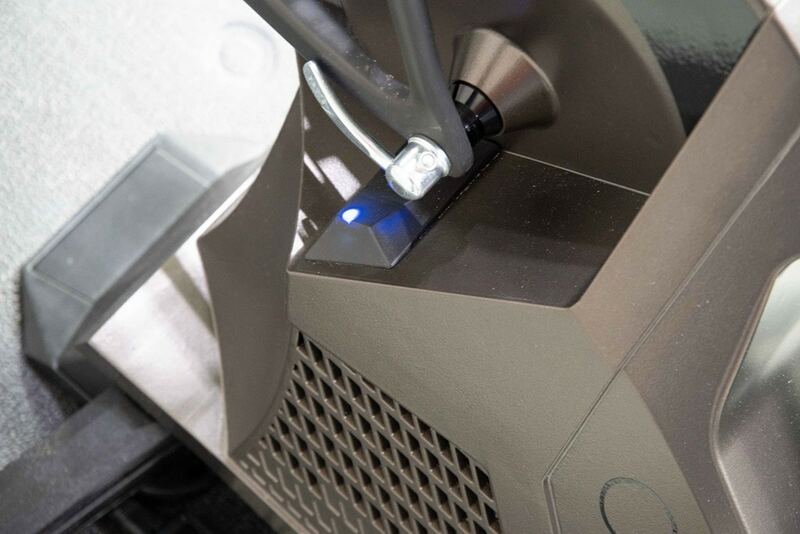 The unit has performed well after the initial firmware updates were released for Hammer 1. As to the color — is it a blue dress or a gold dress? Good call on packaging, even better! As for the color, I believe they basically changed their minds. If you look back at some Eurobike shots – it was that charcoal grey, and the same for the video you linked to, which I think was shot over the summer. But the final production unit I received in November is more of the black-black color. I think it would be great if these reviews also included a quick tear down. It doesn’t have to completely take apart the device, but at least take the cover off and show us some snaps. One thing that has become apparent is that the longevity of these devices isn’t the greatest. Wahoo has their issues.. I have had issues with my Elite Direto.. teammates with their FEC’s.. I think if we can at least start to see the insides and determine what is made of plastic.. what is metal and given what has broken in the past, maybe we can get an understanding of what might break in the future on these new devices. I own an H2 unit that I am pretty happy with – noise not an issue, and I very much like the road feel. I recently bought a set of Assioma Duo pedals and in comparing them to the H2 unit, see that they are consistently reading 7 to 15 watts low. Tried the Assioma Duo pedals on same bike on friend’s H2 setup with pretty much exact same result. Ran the data on the DC Analyzer tool and nothing jumps out – the pedals are just that much lower than the H2 units, pretty much right across the board. Hard to believe the pedals are wrong as I am getting a 50/50 power split, and they are each calibrated individually at the factory. So do the H2 units just tend to run high? This review suggests no, but I am seeing other data out there that suggests maybe yes… Any thoughts? Also I am beginning to wonder how sensitive the units are to the hot/cold calibration process… Am going to try doing the Rouvay calibration after the unit is very warm and see if that makes any difference… At any rate, any thoughts appreciated. Lee, the Hammer and H2 are VERY accurate in steady state power scenarios up to about 400W. They consistently ready within 1-2W of my other power meters. It’s only hard accelerations/sprints where the power reads high. I would recommend testing your Assiomas against another power meter…say a friend’s bike with a spider-based PM or something. On a separate note, how do you calibrate your H2? Cold w/ Rouvy? Warm w/ Rouvy? Do you notice much difference? Thanks for the reply. PS just realized I could attach a link to the DC Rainmaker Analyzer file, which I am including on the off chance anyone is interested. 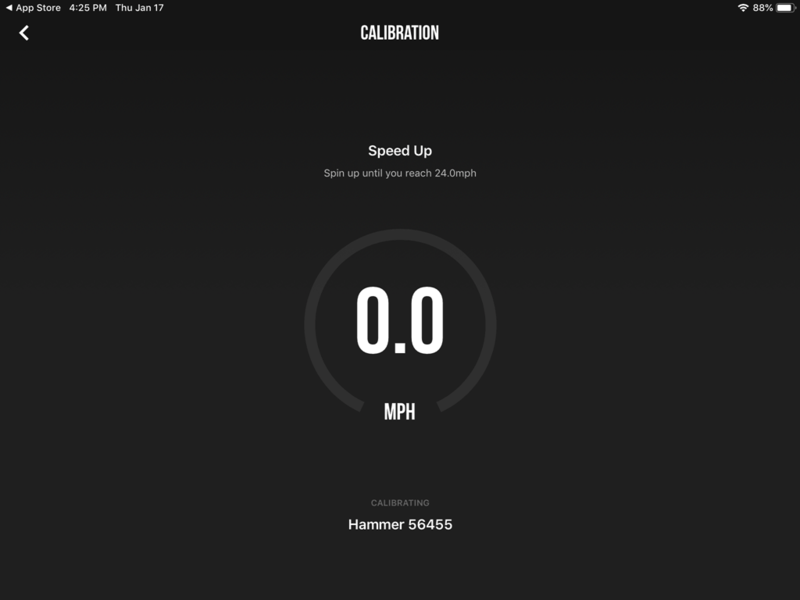 Lee, since I use my power meters for indoor training, I don’t worry too much about the spindown on the Hammer. I do record my sessions on two Garmin head units just to continually compare the data though. If I notice the Hammer starting to drift after analyzing the data, then I will perform a spindown in Rouvy at the end of my next session when my Hammer is fully warmed up. Usually my warm spindowns are around 21 seconds long. I have found that cold spindowns on the Hammer don’t throw it off as much as other trainers. Loving the photo of the DCR Spin Studio! Anyone know if the internals on the H2 have been improved to give better cooling? Hi, My H1 had the overheat issue you experienced, but I never experienced it on zwift but only on the long climbs in Rouvy. I’ve swapped it out for a H2 and I can happily report that this is not an issue! 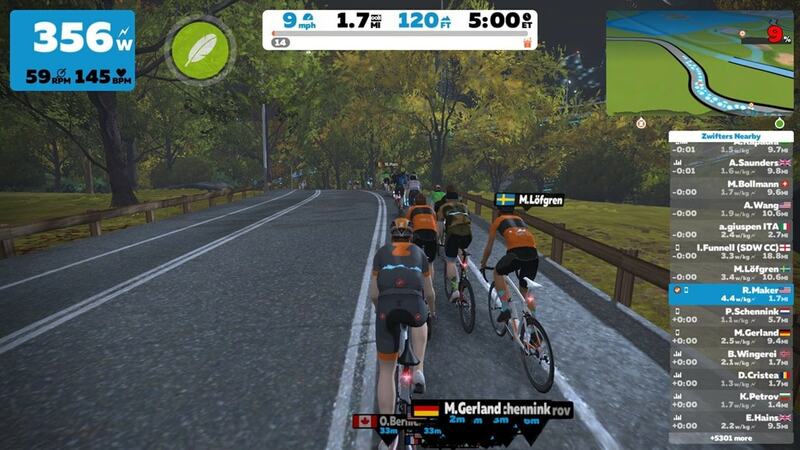 Although it never was an issue on zwift. I also don’t think the H2 is louder, both very similar. My previous H1 also used to transmitted Cadence from earlier firmware updates, late 2017, so no different to the H2! The H2 just feels more reliable in data transmitted. I use Rouvy quite a bit, and my experience is that the gradient feel in Rouvy is brutal. In fact, I’d go so far in saying that the data reading on the screen doesn’t match the feel of the gradient. The feel is much harder ON Rouvy, and I reckon this had a big bearing on why my H1 would lose resistance, it was resisting more than the transmitted data. On Rouvy, my climbing was very much slower as was the cadence, all to reach the nominal power my brain was receiving and hence reacting to from the on screen info, and hence the H1 would have to release resistance to cool down frequently…… also just in time before I died! It knew this, I don’t know how but it saved my life on more than one occasion! I don’t experience this on the H2, but the resistance feel is still brutal on Rouvy and I still die, more so now! Alas, I can’t confirm this data, as I don’t own power meters, but I have requested Rouvy to compare. 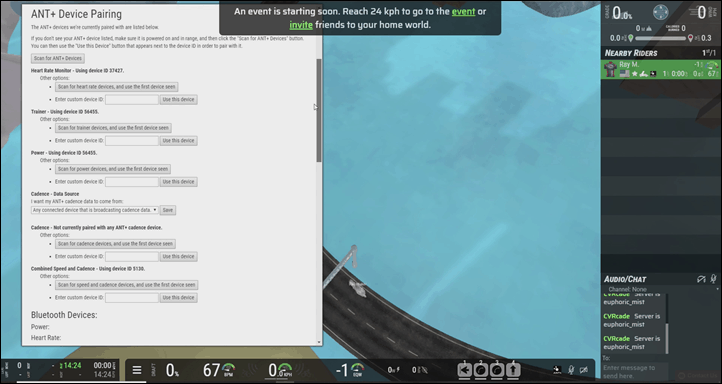 Zwift feels like a holiday in comparison! I liked my H1, but I like my H2 more! I have owned a Hammer since it first came out. It was terribly buggy (mostly responsive & connection issues) for the first few months but has since been fixed through numerous firmware updates. It is getting nosier than before but I think it is still manageable. My 2017 Kickr was horribly noisy, it literally made me sick the first time using it. What I like most about my Hammer is the heavy and smooth flywheel. As for the design, it is basically a copycat of the original Kickr. I recently bought a Neo 2 and so far I like it better despite the fact that its simulated flywheel does not feel as good as the Hammer’s real flywheel. Technologically, I think the Neo is as innovative as it gets by having the resistance unit right in the hub, eliminating a belt and pulley system that will wear and degrade over time. I have written some of initial impression comments in Ray’s Neo 2 review post so I am not going to say more here. All I want to say is that if Cycleops or any others want to beat Neo, they need to innovate not just to copycat, they could do so by combining the resistance unit and a real flywheel into one rotational hub and then BOOM we will have the next most wanted trainer in the market. They could hire me to design one but it won’t be cheap though :). I updated the firmware once about a year ago and it’s been running fine since. 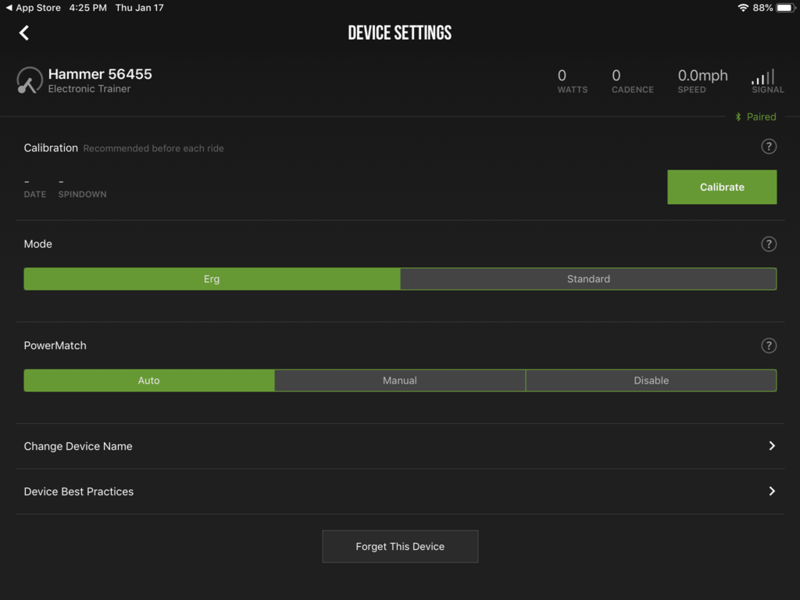 I just checked with Rouvy and the firmware is still current. To be fair, the original Hammer is a few years old now, and when it came out there was a slew of early firmware updates then. Since then it’s been a bit quieter. The problem with a directly driven flywheel is frame clearance. The belt drive gives them the freedom to move the flywheel where it needs to be. The Neo only gets away with this because it doesn’t have a real flywheel. Giant, with their CycloSmart trainer, have gone a step even further by using both a chain drive and a belt drive to shift even more of the mechanical parts back and out of the rear triangle. Hi, As far as I know the H2 doesn’t support BT-FTMS as you stated in your review. It seems like most smart trainer users are using a separate power meter, which is great, as power data would be more reliable that way, assuming whatever power meter you are using is fairly accurate. Okay, my point is that if we do not use a smart trainer’s power output then why not remove it and drop the price. It does not make sense to me that you pay the power meter in the trainer but not using it. Do you get my point? That’s not really how most smart trainers work. The only design that really has a “power meter” is the OTS design in the mid to upper level Elite trainers. The original Kickr 14 had a strain gauge based power meter, but it was eliminated due to it’s inconsistency in that application. They have better results using the method described (loosely) below. All the others use the same electronics that control the resistance unit to essentially back-solve for the power data. 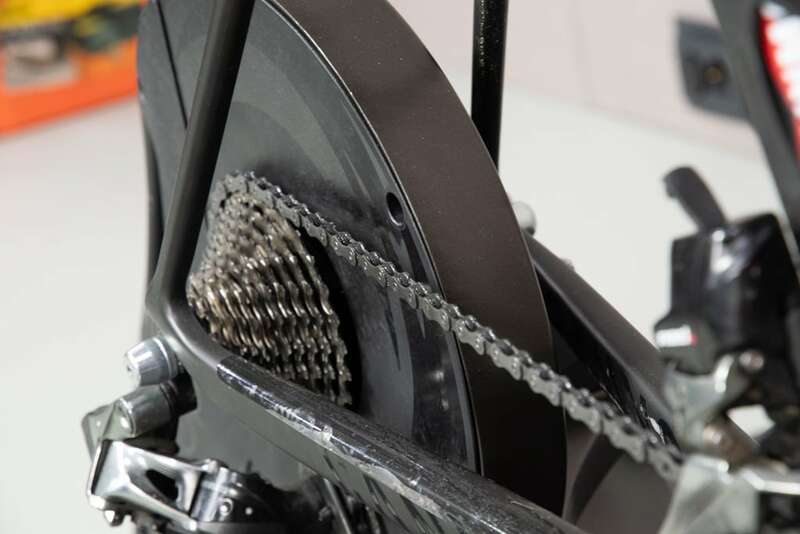 They can look at the volts/amps in the system along with counting the rpm of the trainer, to estimate the power very well, without an actual “power meter” in use. 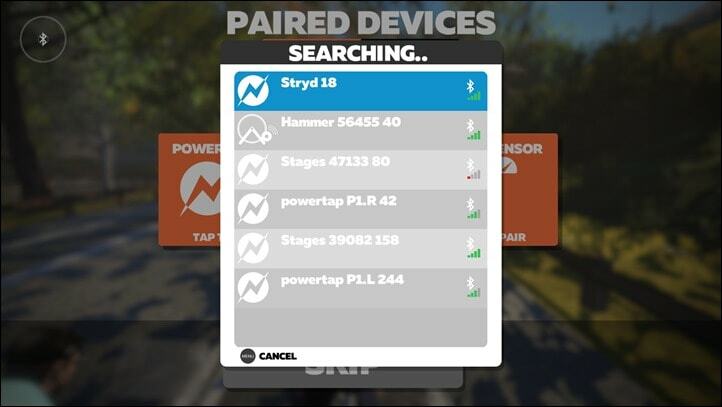 The point being that there isn’t a “power meter” component to remove from most smart trainers. Therefore, that’s not a real way to save money and get price down. With REI’s upcoming 20% coupon, the H2 will be $800 and the Kickr Core $720. Would you go with the H2 in that scenario? The salesman told me last week that there will be a 20% off coupon with the annual dividend that will arrive this month. He also said that the Kickr is eligible, although I forgot to ask about the H2. I was surprised it would be included, but he was quite confident. We shall see soon enough! But now the coupons have arrived and they don’t exclude trainers. So the questions stands — H2 at $800 or Core at $720. Ray? Anyone? I know, not super helpful. Personally, I’d go CORE because of #1 & #3, plus, REI and Wahoo are both solid from a customer service standpoint if you do manage to kill it. Thanks, Ray. The boost is the sprints is tempting from a Zwift standpoint, but (a) feels a bit like cheating and (b) I have yet to race and will be a D when I start, so I’m not too worried about pumping up my figures. Assuming I order online, I will of course use the link. Thanks again! So if I can get a like new Hammer (original) for $600 (or potentially less) that would be a great deal and I wouldn’t be giving up much of anything against the H2 or other current smart trainers? Turns out it might be the H2, though I haven’t seen it in person yet. Either way it sounds like a like new Hammer for $600 is worth puling the trigger on. I’ve had the original Hammer for a few years now, and I have to say, all in all, I’ve been pretty happy with it. I bought the Hammer because at the time it was the only direct drive trainer that supported the Boost rear-axle MTB standard. I’ve had intermittent issues with the freewheel making alarming noises, but that seems to come and go. As far as “normal” loudness, it’s been good enough. The one issue I haven’t been able to resolve, though, is when doing a TrainerRoad workout with high-intensity intervals followed by lower intensity recovery periods in ERG mode. If the target interval calls for, say, 120%, and I really ramp it up for a minute, then the target power falls to, say 30% of FTP, the trainer fails to apply the resistance needed to slow the freewheel. This results in measured power falling to zero, and the TrainerRoad workout actually auto-pausing. The flywheel effect on the Hammer is significant. The faster you pedal the more pronounced it is. I ride ERG workouts in the small ring with a middle gear to keep the flywheel speed as low as possible. It may be impractical for the firmware to auto-brake the flywheel under these conditions. It could make things jerky. I haven’t had auto-pause kick in unless I stop pedaling. Is your cadence is being tracked continuously? TR suggests backpedaling on intervals you can’t finish so zero watts shouldn’t be pausing the workout. Thanks for the detailed review. Did you evaluate the performance of the H2 in Zwift’s ERG mode? The ERG mode in my new Cyclops Hammer 2 does not work. After pairing to the Saris FE-C signals for the power source, cadence, and controllable, I click OK. I select a workout, make sure ERG mode is enabled, and make sure that power smoothing is set for 3 sec. I start the workout, and on both Zwift on my PC and on the ZC app on my Android smart phone, the power has excursions of at least ± 20 watts around the workout requested level. If I increase cadence, power also dramatically increases, and only gradually, after 10 or more seconds does it attempt to approach the requested power level. An example- 100 watts at 80 rpm. increase cadence to 100, and power will shoot up to 200 or so, before slowly returning to requested level while I hold cadence at 100. If I slow cadence, power will drop, as will cadence, both dropping too low(cadence may go momentarily to zero, even though I am pedaling at 80). Have others seen this problem. As an aside, I went to the LBS where I bought the H2, and tested this on their demo H1, with the same results, so this is not a new problem. My Kickr 2017 works as expected in ERG mode, with power excursions of only 2 or 3 watts no matter what I do. I went through several of the new Kickr Cores and one new Kickr 2018, with all failing do to the well known power problem resulting in no output. While they worked, however, they work exactly as my 2017 Kickr, i.e. perfectly in both ERG and sim mode. I only got the H2 because I was tired of replacing Wahoo devices, but the H2 seems to be not particularly useful either. Impossible to do HIIT exercises such as 30 sec low power, 10 sec very high power, 30 sec low power, and on for several repetitions. I will be curious what others have to say. I have been on my H2 exactly twice, coming from a Tacx Vortex which I used a power meter to power match. Did a short workout this morning in erg mode using the power meter as the power source. I immediately noticed the flywheel difference and really keeping up with the speed of the fly wheel during ERG mode. With the Vortex, it was so easy to maintain a decently constant power output because the flywheel had very little impact during ERG mode. With a power matching set up, it will react the same way you have stated. 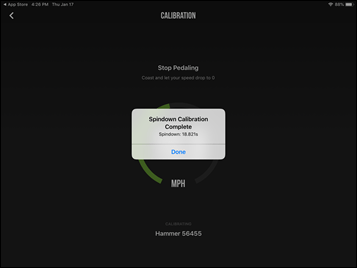 The Kickr reads out a smoothed power curve if you have the setting with the trainer set to on. With the differences in flywheel size, I would suspect you see some differences there. Shane explains how the fly wheel has an impact in ERG mode. Interesting graph at the end with the pedal stroke and muscle use. These two items, along with the recent failures of the Wahoo trainers is why I went with the H2. I don’t have time for things to break. The Vortex was also not allowing real hill training inside, because the muscle differences noted in the video above. Hopefully the larger flywheel will allow for some correction as I just don’t have time to train or ride outside as much as I would like.